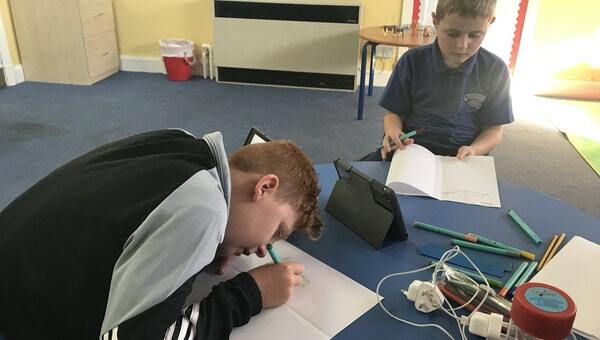 We are the Inclusion and Well-being service and provide high quality inclusive education for children with additional support needs within our authority. Our Primary off-site provision is based in Grangemouth, Falkirk. We are a school for children with social, emotional and behavioural needs and provide a well rounded education that supports every child's needs. Digital learning is a great way to engage our pupils in literacy and other academic subjects. Unfortunately our digital learning resources are limited which leads to limited learning opportunities. We would appreciate any support. We would really like resources to help our children gain experience with coding. We would like Spheros as they have lots of different features and compatible apps that will allow the children to explore coding. The resources purchased would benefit all children across our service. Having these resources would encourage engagement across all curriculum areas. Children who attend our service are mostly visual and practical learners and would benefit massively. The children believe that having more digital learning experiences will help them develop their interests which will benefit them in later life. We would love to buy equipment to help the children explore coding. The children have shown interest in robots and we believe that Spheros would provide all the opportunities needed to support learning. If we're fortunate enough to raise more than our target, then we would also like to buy some resources to support us using the Spheros. We really need your help! Thank you for taking the time to look at our project and we hope you would like to donate. You will receive a thank you email from all staff and pupils at Oxgang Inclusion and Well-being Service. You will receive a personal thank you card in the post from the pupils and staff at Oxgang Inclusion and Well-being Service. You will receive public recognition on our school website.